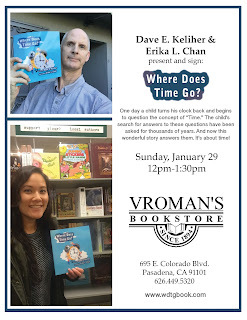 January 29th, 2017, will be the first Author and Illustrator book signing for "Where Does Time Go?"! 695 E. Colorado Blvd. in Pasadena, CA 91101. Does that mean you're invited? Yes it does! Bring the kids, bring the whole family and all your friends. The more the merrier. It will take place at Noon which is also known as 12 p.m. on the second floor. Yes, let's all GO to this book signing. Erika is flying in all the way from San Francisco just to see you. Erika will teach you how to draw, and Dave will be amazed at what she does with crayons or pencils or whatever she brings to the table. And, get a sneak peek of the artwork behind the scenes. 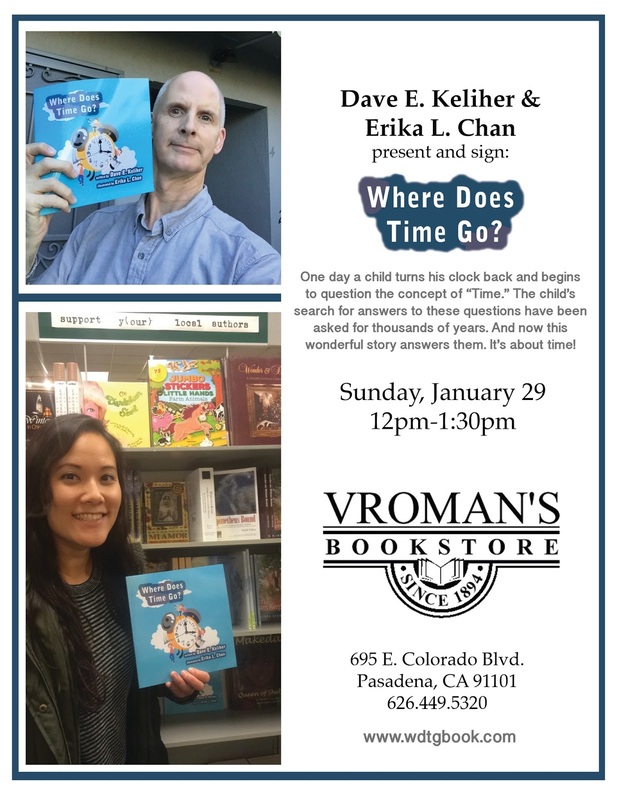 And for the Grand Finale, Erika and Dave will do their first public reading of this amazing book just for you! So spread the word, shout it from the rooftops (but be sure to wear your OSHA safety harness before attempting this), scream it in large venues like ball parks and at the beach.